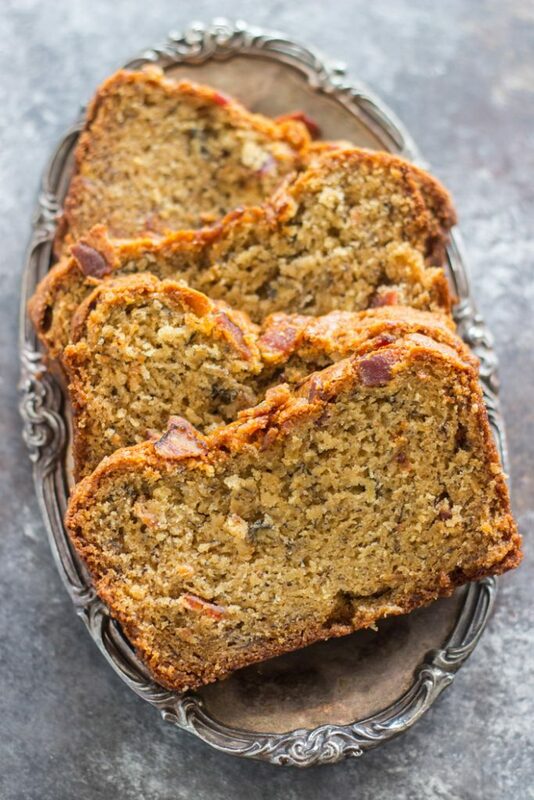 Moist, dense, perfect banana bread, with a heap of creamy, nutty peanut butter and salty, fried bacon! 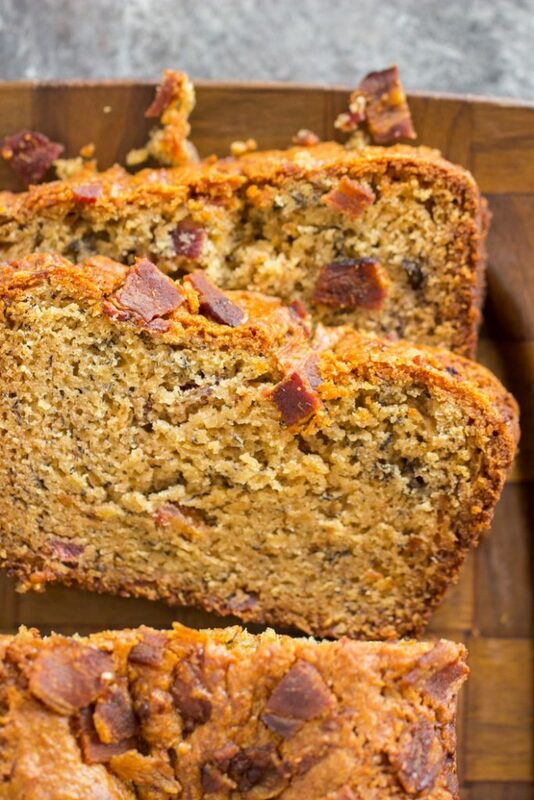 You’ll love the combo of sweet and salty in this Bacon Peanut Butter Banana Bread! My favorite time of year for baking is definitely the fall. But after last fall and the holidays, I was sooooo burned out. Crazy because fall is already back! I don’t even feel like I’ve decompressed from last fall. 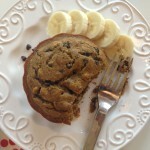 I did scale back over the summer though, and one way that I scaled back was with peanut butter recipes. 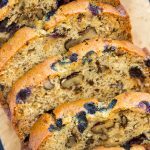 I’ve still posted a couple, like this Peanut Butter & Jelly Monkey Bread, these Peanut Butter & Jelly Pretzel Bars, and these Peanut Butter Banana Brownies… okay, it doesn’t sound like I scaled back, but I really did. 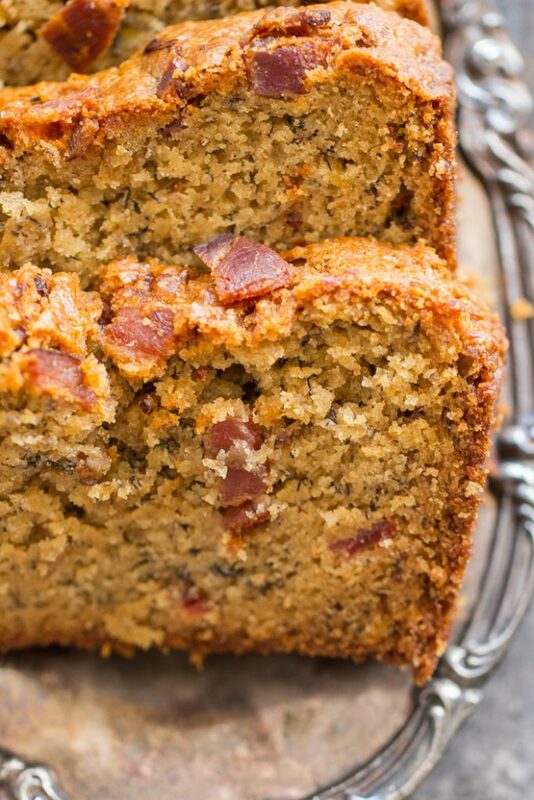 I wanted to make sure that I was coming to the table with fresh and innovative ideas, and I feel like I’m in that place again with peanut butter, and this Bacon Peanut Butter Banana Bread is the start. I’ve got a new list of peanut butter recipe ideas, and I feel refreshed and enthusiastic about them. One of the recipes that helped to inspire me was my Grandma’s No Bake Peanut Butter Pie recipe, of course. 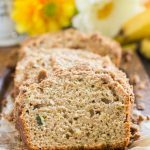 That’s such a classic, tried-and-true, simple, quick-prep recipe that EVERYONE loves, and I started my return to recipe creation by making a variation on that. 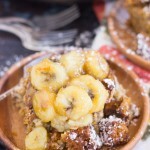 It’s such a well-loved recipe, and it’s so simple to jazz it up. Ideas for new recipes started turning, and I came up with this Reese’s Cup No Bake Peanut Butter Pie recipe. 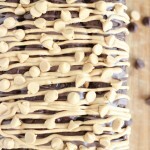 It was such a homerun, and I felt momentum to start churning out peanut butter treats again. Creamy, rich, nutty peanut butter along with salty, fried bacon?? That’s a heaven-sent combo, to be sure. 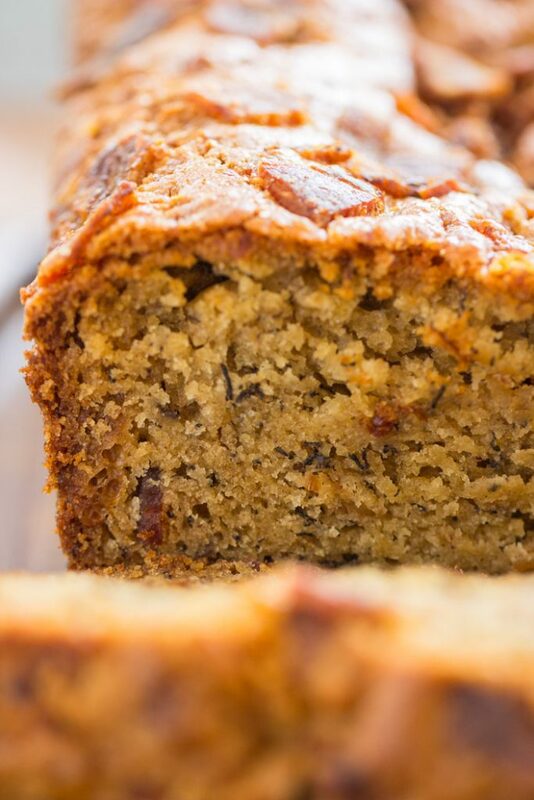 And in a moist, dense, hearty loaf of banana bread? Yessssss. 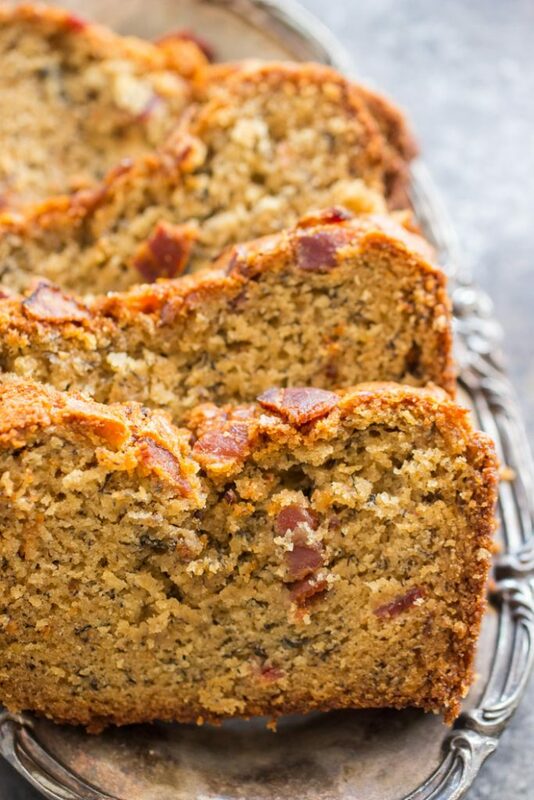 This Bacon Peanut Butter Banana Bread is such an amazing bread. 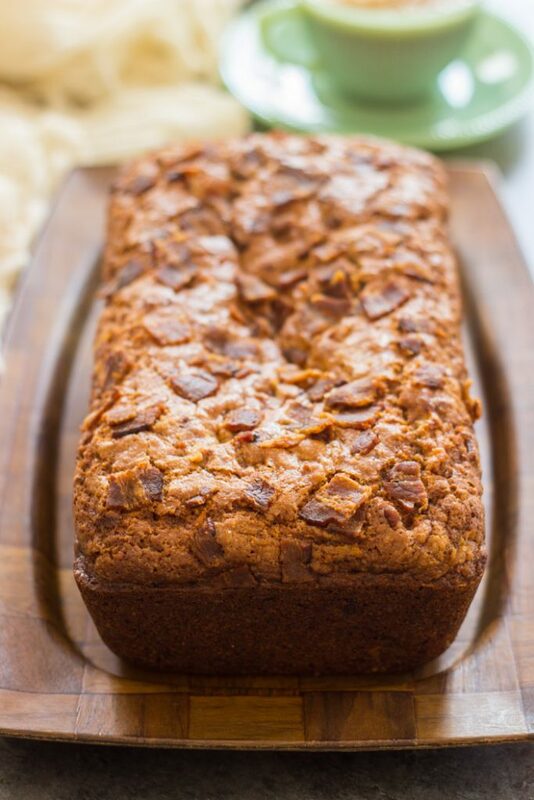 I went crazy with bacon and peanut butter recipes the last few weeks, and I’m happy to report that this Bacon Peanut Butter Banana Bread recipe is just the start. What an awesome start though. I hope you’ll try it, and if you do, I hope you love it as much as we did!